As we find ourselves hurtling towards Christmas, today’s competition features a festive piano book. 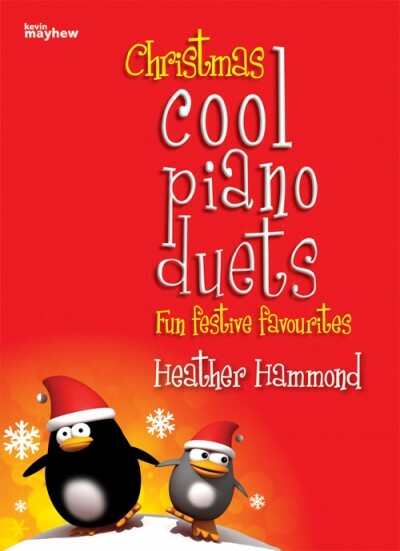 Christmas Cool Piano Duets, arranged by popular British composer Heather Hammond and published by Kevin Mayhew, contains twelve favourites, perfect for a student/teacher combination, or two students. Great for the end of term Christmas concert, or any piano party! The pieces are approximately early intermediate level (around Grades 3 – 5), but the primo parts are generally easier than those of the secondo (which is why they would be perfect for a teacher and student). Also excellent sight-reading material for more advanced players. Included are Frosty the Snowman, Good King Wenceslas, Joy to the World, Silent Night, Jingle Bells, and Walking in the Air. The winner of this collection will also receive a couple of practice notebooks, written by Heather and published by Mayhew. A Practice Fun Book and a Practice Record Book; they will hopefully encourage young players to practice regularly and keep a record of their work. Each book contains useful tips and exercises. To win, just leave your comment in the comment box at the end of this post. I will select a winner on Monday (November 9th) evening (British time). Good luck! You can purchase Heather’s duets here, the practice record book here, and the Practice fun book here. These look fun! My studios Christmas recital is such a joyful event and I would love for some of these pieces to be apart of it! This looks fun! Would like to check them out further! The cover looks so inviting and cute! It just instantly got me into the Christmas mood. I would love,love,love to have them for my students this Christmas. and I’m sure the group would love the challenge! Those look great and very interesting as well. Love to try them! I’d love to add these to my Christmas program! My students love duets and these sound so cool. Thank you for the opportunity to win! I’ve got a couple of darling sisters who LOVE to play duets together! This is just the level they need!! I’m excited!! Never mind the competition – I am getting this book now, looks great. Would love to see this. I use duets all the time. I love Heather Hammond’s music. I am enjoying the music in her book Ballads without Words. I would love to win this duet. I love love Christmas music, and I would love to have more duets; my students, kids, and I enjoy playing duet. I really like the song selection, especially I have been looking for ‘Walking in the Air’. Thank you for this opportunity. Would love some Christmas Duets. Love to win. Duets can be hard to find, especially for holidays. Thank you for offering these; they look great! I have two students who are sisters, on different levels, and they would enjoy these. Playing duets is a real encouragement to students. It would be fantastic to win and share the joy with my students. And to be honest, Playing duets with the kids is my favorite part of the lesson!😊 Thanks for doing this!! Christmas duets…how fun! I enjoy your blog. Thank you! I love having my students play Christmas duets! I add to my shelf of Christmas music every year. These look like fun. Thank you for introducing them and for the offer. My little ones and older students, especially teenagers love duets. We are battling duets for a nursing facility this weekend. Rhythm practice and listening to each other is so beneficial. It’s fun to play together. This looks like a great book. Thanks for the opportunity. Best wishes to all! These look like fun. Would love to try them out. One can never have enough variety when it comes to Christmas music! Love Christmas duets, this book looks like it will be fun! 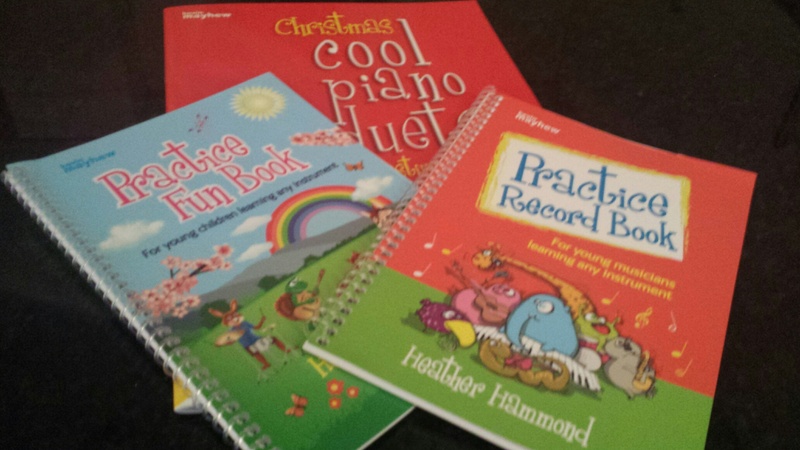 Heather Hammond’s “Cool Piano Duets” – were festive favourites for me last year and they will be this year too! Simple arrangements for pupils in C, G & F major keys plus A minor which they can sight-read for fun at end of lesson, perform in a Christmas Concert or memorise to play to their family at Christmas (alongside Heather’s duet accompaniment which I can record for them)! The accompaniments are always in the style appropriate to the carol or song and the children (& audience) “love” the final product! Can’t wait to return to these – 12 days of Christmas (12 duets)!